I’ve seen my share of horror movies and dramas in the last few years. One of my favourites was Netflix's The Haunting of Hill House. It had the right mix of suspense and horror, the script was strong, and the direction and editing flawless. In fact, there was a scene in episode 8 that made me SCREAM. I experienced the same kind of fright while watching ARY’s new drama Bandish. 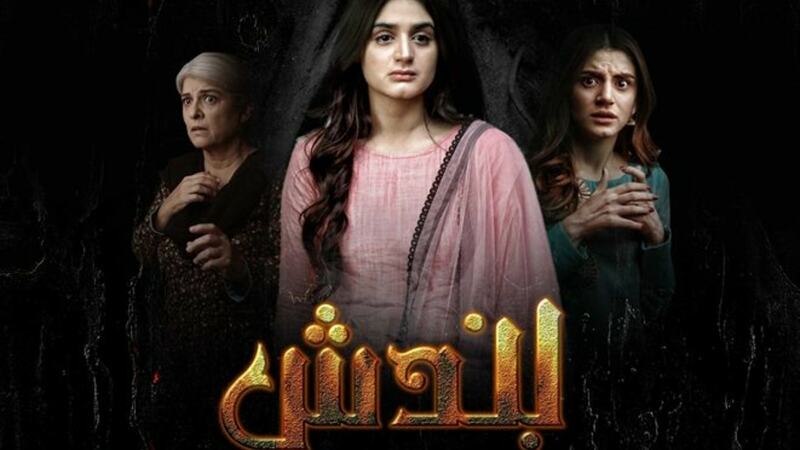 Directed by Aabis Raza and produced by Fahad Mustafa and Dr. Ali Kazmi’s Big Bang Entertainment, Bandish is ticking all the horror show boxes so far. It opens to a shot of young Aleena (Hoorain) sleeping in her room when suddenly, an invisible being removes her bedspread and violently shakes her bed. She keeps calling out for her parents and sisters, but no one listens — it’s like no one's home. She ventures outdoors to look for them, only to get spooked by a cackling creature on a tree. Suddenly, she wakes up. It turns out she was having a nightmare. 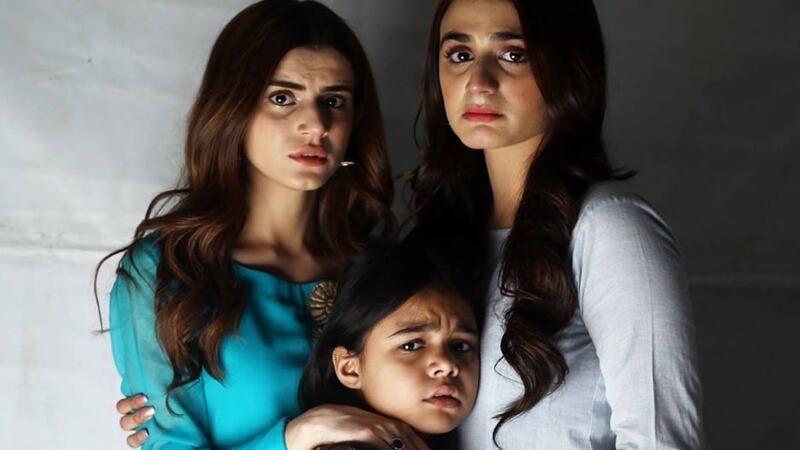 Aleena’s family, consisting of parents Madiha and Junaid (Marina Khan and Sajid Hassan) and two older sisters Sania (Hira Mani) and Hania (Zubab Rana), is a happy, close-knit family that doesn't appear to be affected by the dark forces disturbing her. On the other side, there’s Sumbal (Farah Shah) who practices black magic and worships the devil in her dark, scary abode. She also possess a djinn in the form of a little girl who is meant to possess Aleena. (The young actor Tasbeeha deserves an Oscar). Sumbul is bent on destroying the Junaid family for reasons that are so far undisclosed. Sumbal’s sister Sandal (Zaineb Ahmed) lands a job at Junaid’s office as his secretary. The only thing we know so far is that she met Junaid a year ago and has had her eyes on him since. Sumbul supplies her with potions to hypnotise Junaid and by episode 3, they are married. Madiha has no clue about Junaid’s extramarital affair; she is too focused on finding a rishta for Sania to notice. But every time a suitor comes, Sumbal's magic spells spoil the deal. Soon Junaid goes out of town with his new wife and all hell breaks loose at home. Windows and doors open and shut by themselves; the lights and radio keep switching on and off. Sania also starts experiencing frightful situations at home, so much so that she ends up in the hospital and almost dies. While Sania’s doctor Abyaan (played by her real-life husband Mani, guess she'll marry him here too) tries to diagnose and treat her, Sania survives with the help of Hania's amulet, which was given to her by her friend Fatima's father, Uncle Izhar. Sumbal tries to seize the amulet through the djinn girl but is unsuccessful. Bandish stands out among local horror shows for its restrained and effective storytelling. Far from unnecessary dramatics, Syed Nabeel and Shahid Nizami have focused on upping the suspense quotient of the story. Four episodes in and we still have no idea what Sumbal’s motives are. Is her problem with Junaid or Madiha? Also, how is it that Sandal saw Junaid a year ago and has been in love with him since? Junaid doesn’t even remember their meeting. How does Izhar Uncle know everything? Why did he specifically make those amulets for Fatima and Hania? Is he an aalim? I need answers, people! Acting wise, everyone fits their characters well – no one can be criticised for over-the-top acting. Hira Mani and Zubab Rana deserve praise for portraying their characters with conviction. They make Sania and Hania so real, you’ll think they’re the girls next door. However, it's the two youngest actors who outshine everyone else, especially our little djinn. She makes my skin crawl at times and plays her part brilliantly. Marina Khan excels as Madiha, the worried mother who has no idea why everything is falling apart right in front of her eyes. Abis Raza has proven himself as a very capable director with some brilliantly conceived scenes that gave the shivers. The beds shaking, lights turning off and on, Aleena hanging upside down and all the scenes with Sumbal practising black magic have been brilliantly shot. In fact, one of the best parts was when Sania is serving chai to one of her suitors and the cup start shaking while Sumbal is casting a spell. The faster she reads, the fast the cup shakes and finally she falls down with what seems to be an epilepsy attack. That scene was really well shot, and both Farah Shah and Hira Mani gave some top-rate performances. 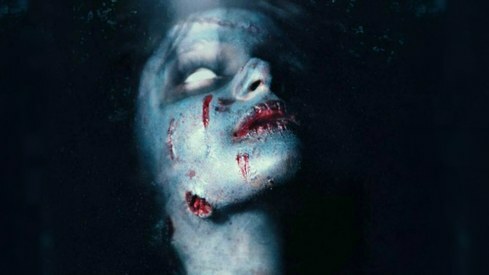 The editing was not choppy as is the case with many amateur horror productions. The background music was a haunting yet beautiful complement to the story. So far, Bandish gets 5 stars, but I am cautious because we are only 4 episodes in. I appreciate ARY Digital's double episode trend but wish that both episodes were uploaded online at the same time. One gripe I have with the writers is their romanticising of a goon-like hero. Hania and her friend Fatima’s brother Hamza (Fahad Sheikh) like each other, but this was not a romance I couldget behind. His aggressive and stalker-like tendencies make him quite an unsavoury character yet the drama presents him as a love interest. His problematic behaviour ranges from coercing Hania into spending some alone time with him even though it'd be frowned upon to forcing her to go on dates with him. In an infuriating scene, he grabs her hand and tells her that he made reservations at a restaurant even though she tells him that she can’t go because her parents won’t like it. All he says in response is “Tum aogi.” Why? Also, why did the writers make Hania enjoy all of this? Having the power of a pen in their hands, they could easily have made him out to be an actual, nice guy who respected Hania and the rules of her household. Why couldn’t Hania be strong and stand her ground? If writers have a chance to change the narrative, they should. Bandish airs every Monday on ARY Digital at 8pm to 10pm. Black magic is a bitter reality in Pakistani society. It is realized when someone experienced it. In Saudi Arabia government gave death sentence to black magicians. So it is also duty of our government to do something. @Nabeela Black magic is also very much prevalent in Western society as well, especially in South America. Ancient American civilizations like the Mayans, the Aztecs, and the Incas used to perform black magic.